As terrible as it would be to wound an eye, shoulder, limb or finger on the job, most of these injuries are not fatal. A head injury, however, can cause severe damage, mental impairment, and even death. Traumatic head injuries are the most common cause of death among Americans aged 45 and younger. Proper head protection, thankfully, can be life-saving. Hard hats can absorb the shock of heavy blows and guard against deadly penetration from objects. Areas with threats of overhead falling objects. Areas where employees could bump their heads against fixed objects, such as exposed beams, pipes or rails. Areas where workers’ heads could come in contact with electrical hazards. According to the Bureau of Labor Statistics, only 16 percent of employees who sustained on-the-job head injuries were wearing hard hats, despite the fact that 40 percent of these injured workers were required to wear them. 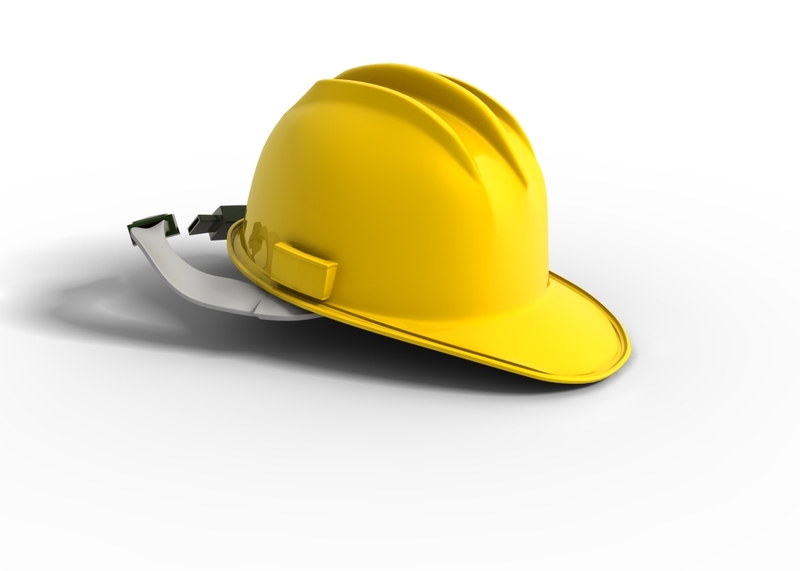 Encourage your team to use protective gear by setting an example and always wearing your hard hat. Hang up signs in the work area reminding employees about hard hat requirements, including pictures showing proper hard hat wear. Take routine stock of the work environment. Note any faulty or damaged equipment (ladders, fall protection, etc.) and fix or replace them. Note any potentially hazardous overhead items that might be loose, susceptible to falling, or positioned in the range of motion of workers. If possible, remove these items, or implement controls to secure them. For in-the-field, on-the-go safety analyses use JSABuilder on your tablet or smartphone to update the JSAs for the tasks in these areas (for quick access, consider installing the JSABuilder app on your device). If there is no internet connectivity in the area you’re checking, you can print out a blank JSA checklist (This form is located on “Manage JSAs” tab in your account, underneath the “New Worksheet” button). 3. Think like Goldilocks: PPE shouldn’t be too big or too small. It needs to fit just right. As with everything PPE-related, size and fit are crucial. Hard hats must fit the worker’s head and be worn properly. If additional protection or gear is necessary (e.g. hearing protectors, earmuffs or face shields), hard hats must not hinder the worker from wearing the additional accessories. Headgear should have sufficient space between the outer hard shell and the suspension system, to allow for airflow and distribution of an impact. Hard hats and helmets should be purchased from a reputable supplier. Protective headgear must meet ANSI Standard Z89.1-1986 (Protective Headgear for Industrial Workers). Class A hard hats offer impact and penetration resistance from vertical falling objects, as well as protection up to 2,000 volts. Class B hard hats provide the highest level of protection against electrical hazards, including shock protection up to 20,000 volts, and reduce the force of lateral and vertical impacts. Class C hard hats are lighter weight, and provide impact protection, but do not protect against electrical shock. For a more in-depth look at head protection, check out OSHA’s guide to all things PPE.